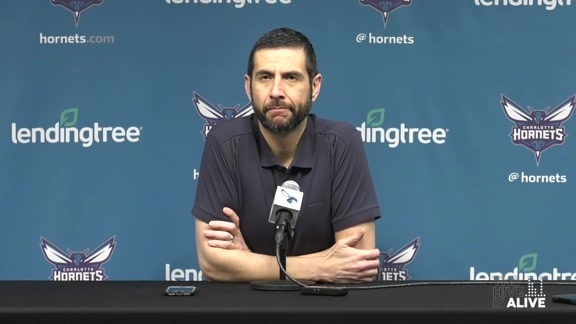 Charlotte Bobcats Managing Member of Basketball Operations Michael Jordan announced Saturday that Sam Vincent has been relieved of his head coaching duties. The decision was made after Vincent met with Jordan following the season. The search for his replacement will begin immediately. “The decision to remove Sam as head coach after just one season was difficult, but it was a decision that had to be made because my first obligation is to do what is in the best interest of our team,” Jordan said. 2006-07 season. Prior to joining the Bobcats, Vincent spent one season as an assistant coach with the Dallas Mavericks and three seasons as a head coach in the National Basketball Association Development League. A seven-year NBA player, Vincent was selected by the Boston Celtics in the first round (20th overall) in the 1985 NBA Draft and won an NBA title as a reserve in his rookie year. Vincent appeared in 396 games and averaged 7.8 points and 3.9 assists with Seattle, Chicago, Orlando and Boston. This move was i think the best move possible for the bobcats. As a very huge fan myself i think the bobcats need experince coaching and players.We are a very good team we just need the right person to coach us. If Larry Brown comes in he knows how to get players and win. So actually ive been waiting for this to happen. Thank you MJ. Our Bobcats have so much talent and pride. Sam Vincent was clearly not the right man for this job. He didn't even respect the players and outwordly made negitive comments about them to the media. He was rarely seen on the sidelines speaking to his players........Now the Bobcats can become the talented winning team they should have been in the 2007-08 season! Thie best thing to do for the team i believe would be to bring in Larry Brown. Why fired Vincent,give him another chance to coach this team or somewhere else ok! IT WAS NOT THE HEAD COACH FAULT WHEN THE TEAM SUFFERS A LOSS. IF SOME OF THE PLAYERS STAY HEALTHY WE COULD SEE MORE WINS. 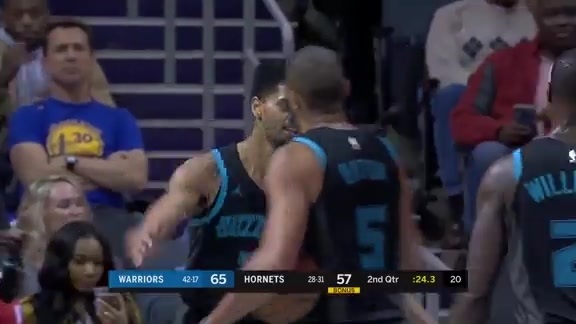 I think that sam vicent should have stayed as their coach,because it was his first season as their head coach and morrison and may were injured.Now the best options are browm or carlisle.Need to draft a point guard to help felton.good luck Bobcats.I'm Your Biggest fan.From Houston,Texas To Norh Carolina, Go BOBCATS!!!!!! Thankyou Michael thankyou.Sam should've done much better with that team,yeah they were without May and Morrison but 32-50 is unacceptable with Felton,JR,Wallace and Okafor.The Bobcats should've finished the season around the 38-44 mark,32 wins isn't even an improvement from previous seasons,and they struggled just to get 32-50.Sam's rotations were screwqed up as well, why didn't he have Nazr in the starting lineup is beyond me. You make a trade for the guy to fill an obvious spot that the Bobcats needed and he brings him off the bench? And then he starts McInnis? Glad to see Michael doing what's right for the team and not relying on future improvements. I was really surprised at the fired of Sam Vincent because I think he did great job, its just that players have no passion at some games and they kinda of giving up. The loss of Adam Morrison and Sean May did hit Bobcats really hard but Sam did great job in his just ONE season compared to Bernie's first season. But if the Bobcats get new coach and the return of Morrison and Mays next year then GREAT, I do expected them to reach the playoff for first time in franchise history!! Could Larry Brown be a Bobcat? Good move something had to be done!! Kudos to MJ for doing the right thing! It was obvious that there was no improvement in the team from Game 1 to Game 82, and the players couldn't respond to Vincent and his "unique" rotations and strategies. I wish him the best, but this had to happen. I think that firing the man after one season is inexcusable. Contrary to Mr. Jordan's comments, part of doing what's right for the team is to (i) carefully select your head coach in the first instance; and (ii) give the coach time to grow, which includes making mistakes. Jordan's managerial inexperience is going to hurt the organization. If you are a competent manager, you should have confidence in you employee and you generally don't fire people after only one year - especially an inexperienced coach. That is bad for the organization! Well, well no big surprise there (sorry Sam) but we all know where Charlotte is headed now. Who couls blame them. Good Luck L.B. maybe you can convince one ex-player to join you there. Relieving Sam Vincent as head coach was a very good move by MJ. It should be followed up by a better one: Hire either Jeff Van Gundy or Rick Carlisle as a replacement. And the Bobcats will be on the road to the playoffs. Richardson was a great pickup, but they need a Big Name Big Man... An all star center... An all star SF/SG... something. CHarlotte isn't interested it the home team...they are interested in a championship caliber team. Believe me...this is coming from a die hard Hornets fan that hated to see them go...and loved the Grand ma ma and Zo era. Muggsy and Dell Curry were my long time faves and they were awesome with the addition of Anthony Mason and Glen Rice... Charlotte better make playoffs next year or Charlotte may check completely out of the "home team" I'll still be a fan though. I already have my new faves...Jared Dudley (a draft day steal) and I still have total faith in Okafor if he has all star center help..he just needs to realize that he is not a Dwight Howard caliber player right now...He will step up playing his natural position...and with Center help. very much needed. if we put a quality true experienced coach on team, we will definitly win more, and grow a much better overall fan base. we need a veteran coach and a players coach. I don't think Sam was given enough time to work with the team. I think this was the best decesion to make. I wish Sam well in the future. Given the right oppurtunity he could make it as an NBA head coach. It just wasn't the right fit in my opinion. It's unfortunate that Mr. Vincent didn't have a full roster (May & Morrison) to work with, but he himself declared that the season would be considered a big disappointment if the Bobcats missed the playoffs. Although I thought he did OK for his first year,there were a handful of games that Charlotte would not have lost with a more experienced coach. Bernie may as well have stayed in the trenches for a 4th campaign; the trend of having a better record each season may have continued. I can only hope that Larry Brown's resignation in Phili was not a coincidence! That was the BEST MOVE that the Bobcats made this off season. This team needs to progress forward not BACKWARDS! We need to get a good coach thats going to put this team in great position of realistically making the playoffs next season. And getting rid of some players that has become a bust for the team won't hurt either. fired after just one injury plagued season is kinda harsh but i never really liked this pick for coach to begin with.im not really sure if morrison and may wouldve helped that much to improve their record also.he didnt have respect and confidence in his players and in turn they didnt have confidence in his coaching ability.its a shame bernie bickerstaff couldnt have coached them.the players respected him and it showed.they were an expansion team of course their record was going to be bad the first few years but atleast with him they improved every season. This move helps the team show the fans and the city that they are working to improve the team. It shows everyone within the organization that accountability is a priority and that the goal of a winning season is on the horizon. This was expected. I think Jeff Van Gundy will be a perfect fit for the Bobcats. They need a bit of discipline on the defensive end and Van Gundy is a master of that. What does it take to satisfy Micheal Jordan? Of course the Bobcats could be doing better but I think Coach Vincent deserved a more time to get that team on the right track. The Cats have some solid pieces, and in my opinion Management is in too much of a rush. I think Sam should of been fired but, in about 2 years! It was one season, give him one or two more to prove himself. i feel that jordan did the right thing, but he needs to remember that the bobcats are still a young and growing team and that they are not and will not be the chicago bull's team that he played for, for years to come. Sam put in a good effort but really never got an efficient line-up in. I think this is a great move for the Bobcats, now all we need is Larry Brown!!! Good riddance to Sam. Its about time!!!!!!!!!!!!!!!!!!!!!!!! Good to see a professional sports team that isn't afraid of change when it's obviously necessary. I love the cats, but they need a PR overhaul, and the best place to start is with a visible, talented coach. as a die hard bobcats and michael jordan fan, i feel the bobcats made a good decision to get a shot of reality in their system and realize that they need a proven coach like a larry brown or a jef van gundy. in my opinion they shouldve hired stan van gundy last year instead of letting him go to their confrence rivals orlando magic but maybe theyll get it right this year. they also need to get a point guard in the draft and a big name center so they can move okafor back to his natural position at forward. Michael should stop hiring and firing guys that he puts into re-building positions. Remember Leonard Hamilton when Michael was with the Wizards. No talent, not given a chance to rebuild, if you do not win you're fired. Great players do not always make good administrators. Mike, stop giving these guys the formula for failure and sending them away after not having enough time and talent to win. i like coach vincient but if he is not doing a good job then maybe we need get a more experienced coach. o yeah!sean may can go 2. It's a great move so far, because i thought that this year will be the year that Bobcats can go to the playoffs instead of My Atlanta, it's because we recently added other fire power in person of JR23 to play w/ SF GWallace, PG felton and PF/C Okafor and a probable deep bench SG Morisson, May and the others...so we need LARRY BROWN plss. come back to the coaching duties, and maybe MJ can sign back SAM Vincent as a assistant coach for LBrown....to MOVE to the playoffs hopefully nxt year WILL be the WELL YEAR.. This is the best decision. Vicent can do nothing. Bobcats has so many talented players, they need a very good coach to teach them how to use their talence to win more games. This is the same case as the past Detroit, so the best choice next is to get Larry Brown who is a experienced and smart guy! I support him! Im also a basketball coach by profession here in the Philippines, and i know the situations taht coach vincent has felt right now and basketball operations president of charlotte michael jordan encounter this situation. For me get the best young available players around the globe and see what really transpire for the next year and so... Scouting really a valuable for the basketball organization esp. the nba. Keep going Charlotte and Lets Play it on.. Thanks and GOD BLESS Charlotte Bobcats and More Success for my idol Michael Jordan. sam is best couch and big heart,he help me to develop my skills of the game back from south africa ,is very good guy who love the the game more than any one else are know this planet.I love him and i think he will make the best of him self who develop the game of the basket ball in the global he could have make it better for the next season. I feeel this was a good move if Larry brown is being considered I thank this would be another good move for team overall. I really feel this is an injustice. The new owner gives a thumbs up for the coach yet the bossman says coach has got to go. Are these two on the same page either? It surely sounds like coach and bossman weren't. I believe that business comes first before any kind of personal relationship however unless the house is burning there's no reason for a knee jerk reaction just because your FIRST YEAR coach had a bad year. A second year to improve with a deeper roster would have been more than fair. Obviously MJ's legacy is on the line so he doesn't become another Isiah but this is unfair and unreasonable. Good luck MJ as you could be next...friend or no friend of the owner. A no brainer!!! if they did NOT fire Vincent, it would have shown they totally did not care about winning. While the Bobcats aren't stacked with superstars, Vincent did a horrible job. I pumped my fist in the car when i heard the news on the radio. i am EXPONENTIALLY happy. Sam Vincent was first of all too cocky (even though we should have made the playoffs) and too pessimistic. the only thing now is, we NEED a big man like Jermaine O'Neal and possibly a new owner. i think the 'cats should get rid of Morrison and May, and trade them for Jermaine O'Neal. Go Cats!!! Great move MJ! Now hire Larry or Paul, and win the draft lottery. It's your (our) turn. Good luck! I think that MJ made a great choice. Vincient didn't get the job done, he know when he became an Bobcat that winner is what the city wants and the front office. I know we had a couple of players out this seasons, but that is no excuse they need to play with the same engery as if they were playing. I'm praying that we get a Coach who knows the game of basketball, and have the respect of his players, and respect them too. Larry Brown is a great explain of the coach that Bob Johnson needs to take us into the playoffs. This is a move that the B-Cats should not have had to make, but after last season it had to be done. Really; even without "the Stache" and "that other Heel" Vincent's rotations left fans bewildered. Charlotte's franchise is far to young to be looking for a coaching prodigy. The Bobs NEED an experienced coach to harness the talent that exists on their roster. Larry Brown and Paul Silas are both great canidates for the position. I am so glad this decision was made. this coach shouldn't have been hired in the first place. We were doing fine with our whole coaching staff and it was stupid to change everything. the reason our players didn't play with as much passion is because they didn't have respect for their coach. to have a good team we need a smarter coach!m GO BOBCATS! I think this move was a no brainer. As a matter of fact I don't think that coach Vincent should have been hired last year. I would have much rather had Stan Vangundy. So now we move on but I hope we don't hire Jeff Vangundy. He coaches the dullest kind of basketball imaginable. We need someone proven and someone that can help Raymond Felton fully develop. Also a veteran coach will have the credibility to assess the players and cut the dead weight. I wish Sean May the best but we need to know if he can contribute. We also need to know if Raymond can run the team effectively. To be honest, I don't think that Larry Brown is the best fit for this team. My fiancee' is a die-hard fan and I think as season-ticket holders, we deserve better. In my honest opinion, the best hire for the job is MJ's old coach Doug Collins. 1) He has NBA experience, 2) He has a working knowledge of all 30 teams and know their strengths and weaknesses, 3) His is in MJ's circle. Larry Brown will kill the talent level of this team becuase they're built for an up-tempo style which Brown will not play. It's either his way or no way & you'll be right back where you started from with the team having problems with the coach and his ideals. I think J-Rich & G-Dub deserve better. Great move by the Bobcats. Vincent was a good coach but i believe he didnt mesh well with the players. Last year i thought we had a chance to get Larry Brown,hopefully we can get him finally.as the only bobcat fan in N.Y.,im excitied to see Larry return to the garden to beat up on the knicks with Bobcats. Best thing that could have happened. Here's hoping Larry wants to come home. I believe it was the best decision for the team. We need a coach that will stand up for the players and defend them. I wish Sam Vincent well, but we need a veteran coach. Hope to see Larry Brown on the side of the court next season coaching the best NBA team " THE CHARLOTTE BOBCATS"
Bob Johnson, Micheal Jordon, Larry Brown and the bobcat players deserve each other. All of them have lost The heart to play, coach or manage the team. Paul Silas was the best Pick but since you wanted a young Coach, you should have stuck with Him. Nothing is going to change Until the players learn to take Responsibility for their actions. 'Cats play an up-tempo game. But most of all, we need to ELEVATE the team into the playoffs. As far as MJ goes, this is his best and probably only good decision other than J-Rich, but it is only fixing an old one. Let's just hope we get what we need. Good move Mr. Jordan. Now that you have the opportunity to find an expierienced, proven winner, you should look no further than Larry Brown. A proven winner at the collegiate and Professional level. He knows how to motivate the players. I Believe the players will buy into whatever he wants. THINK ABOUT IT! I really think this will help change the team in preparation for the next season. 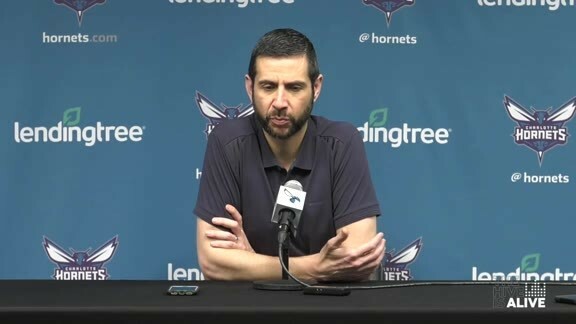 It has been a fine season with him coaching Charlotte, but there are better ways to improve it. Lastly, the replacement of coaches will hopefully be better. Poor Sam!!!! Oh well, the real answer is to get rid of people like Sean May and Othella Harrington that just fill bench space. From a coaching stand point, I don't want to see a follow coach fired. But I fell the players need a coach that has alot of respect and winning knowledge around the league. Larry Brown is a great fit to teach with his experiece on all levels of basketball. I still feel that you need to trade Okafor if he doesnt want the new contract. I would like to see a top score come with fan appeal like a G.Arenas and or A.Jamison and maybe a A center like B.Haywood. Make redo S.May contract and put him in a smaller weight like Roy did at Carolina. and make him stay there. If not get him out of here. I am tired of going to the clubs in downtown Charlotte and seeing him just chillin and always hurt. Make him earn his money or give it to someone else who wants to play. Mike you played hurt for years and did what it takes to win. And these this guy is taking advantage of being a tarheel to far. Imagin a line up with Felton,Richardson or Arenas,Jamison,Wallace,Haywood. And trade or get rid of Morrison, Okafor, and May. Use them to get some young talent out of the draft this year and years to come. Cut your lose with thes guys and lets win. I fell with a Jamison or Haywood or Arenas that will bring in a name that fans can really come out to support and watch your ticket sales go up. Just like the hornets had Johnson and Morning and muggys and even curry. Next year draft bring home S.Curry. Just think about it. I wouldn't mind seeing Larry Brown come in, as he's won everywhere he's been (except the stint with the Knicks), but his age scares me. Realistically, how long would he coach here assuming he gets the job. My other option would be Paul Silas. I think Paul is a great coach, and was somewhat screwed by Shinn in N. Orleans, and the same with Cleveland. He would have taken the same Cleveland team to the finals last year if he could have retained that position. I think that was a bad move when people put all of their heart and soul in coaching and someone comes long and take it away. Because Larry Brown says that he wants to coach again. And you give the person one season to prove himself its not fair put your self in his shoes. You MJ was a great basketball player how you became known was someone gave you a chance to prove yourself. And if they did not give you a chance where will you be today. Now I have lost all respect for you and the bobcat owner for letting this happen to a fine young man.Mark my word if you hired Larry Brown is not a team player all he wants is the money DETROIT NEW YORK he quit and still got paid.What make you so different because you are MICHAEL JORDAN???????? How about MJ coaches the team? Am I the only one who noticed that when MJ worked out with the team they suddenly had a spark like never before. Larry Brown would be a good coach, but I would like to see Paul Silas considering his ties to Charlotte. He is a proven winner and with the current roster I believe he would be able to turn the Bobcats into a playoff contender. Either coach would be nice but I beleive Paul Silas would not cost as much and will be able to put fans back into the seats. Honestly Sam Vincent did not impress me from day one and as the season progressed it only got worse. I was not keen on hiring Larry Brown last year, but after this year's debacle, I am definitely more open to that idea. Paul Silas would also be a great fit. He is very beloved in Charlotte and would probably stick around longer than Larry Brown. It's your call MJ. Well I don't think that the coach did a bad job, (really how would i know I live in PA)but when I see the Sixers playing the Bobcats, they don't play defence. They have quick athletic guys and have the ability to defend, but they don't really. Anyways, like I said, I don't know if this has anything to do with the coach. One vote for MARIO ELIE. He was a finalist when you hired Vincent give him the gig now. LB is a great coach but he is yesterday's news. THANK GOODNESS!!! We should never had hime as a coach from the beginning!!!!!!!!! Bobcats fans, rejoice. I hated Vincent almost as soon as he debuted for neglecting to play Herrmann, one of our most promising players from the previous season. Good riddance. Jordan is a smart man, and he knows how to win. Larry Brown has the NC ties already has respect in this state. He already has a national title. He also knows how to work with young players. If Larry comes to Charlotte, the Bobcats will be a Conference title team at the least. I never liked vincent, and after reading the article of his antics, Im glad that he got canned. The bobcats need a veteran coach, and not one that makes the players uncomfterable. If we can get larry brown who has FINALS experience, we can improve. idc as long as my boy Matt Carroll gets some decent playing time, he has a fresh J with more minutes on the floor. Nice move MJ. I think the next suitable coach will be "Larry Brown" Good luck to BOBCATS! How about hiring a classy, respectable guy that will get the most out of his players and reenergize the fans in the area? My vote goes to Paul Silas!!!!!! !